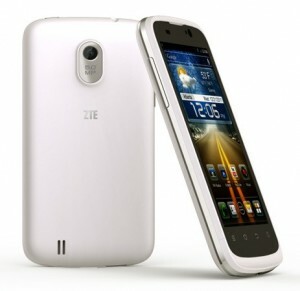 ZTE is known as a maker of budget handsets, but the company has three distinct inexpensive smartphone ranges. There's Kis at the bottom, Grand at the top and in the middle sits Blade. The Blade 3 is ZTE's latest mid-range handset, and as we expected, it doesn't cost very much. At £80 on prepay with Virgin Mobile it's one of the cheapest Android handsets there is. plain, understated and good-looking, with a rubberized back and raised chin to help protect the screen against knocks. It's also remarkably heavy for a small handset, and feels pretty weighty in your hand. We actually rather liked the weight, as it helps make the phone feel tough and well made. The touchscreen is responsive, which makes a welcome change from that of phones such as the Huawei Ascend G 300, which had us stabbing at the onscreen keyboard when typing.